It is remarkable that Social Security hasn’t been a more prominent issue in the presidential race. After all, Governor Romney has proposed a plan that would imply cuts of more than 40 percent for middle-class workers just entering the labor force. Since Social Security is hugely popular across the political spectrum, it would seem that President Obama could gain an enormous advantage by clearly proclaiming his support for the program. But President Obama has consistently refused to rise to the defense of Social Security. In fact, in the first debate he explicitly took the issue off the table telling the American people that there is not much difference between his stand on Social Security and Romney’s. On its face, this is difficult understand. In addition to being good politics, there are also solid policy grounds for defending Social Security. 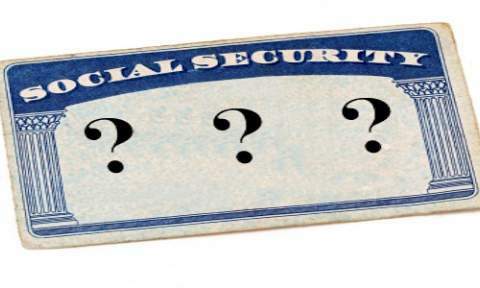 The Social Security system is perhaps the greatest success story of any program in U.S. history. By providing a core retirement income, it has lifted tens of millions of retirees and their families out of poverty. It also provides disability insurance to almost the entire workforce. The amount of fraud in the system is minimal and the administrative costs are less than one-twentieth as large as the costs of private sector insurers. In addition, the program is more necessary now than ever. The economic mismanagement of the last two decades has left the baby boomers ill-prepared for retirement. Few have traditional pensions. The stock market crashes of the last 15 years have left 401(k)s depleted and the collapse of the housing bubble destroyed much of their housing equity, which has always been the main source of wealth for middle-income families. It would be great if we had reason to believe that the generations that followed had better retirement prospects, but we don’t. Even in good times the 401(k) system does more to enrich the financial industry than to provide a secure retirement income. Any reasonable projection indicates that Social Security will provide the bulk of retirement income for most middle-class retirees long into the future. In this context, the idea of cutting back benefits even for younger workers seems misguided. But there is another set of economic considerations affecting the politics of Social Security. These considerations involve the economics of the political campaigns and the candidates running for office. The story here is a simple one. While Social Security may enjoy overwhelming support across the political spectrum, it does not poll nearly as well among the wealthy people who finance political campaigns and own major news outlets. The predominant philosophy among this group is that a dollar in a worker’s pocket is a dollar that could be in a rich person’s pocket. And these people see Social Security putting lots of dollars in the pockets of people who are not rich. Cutting back benefits could mean delays in repaying the government bonds held by the Trust Fund. The money to repay these bonds would come primarily from relatively progressive income tax revenue. The wealthy certainly don’t want to see changes like raising the cap on the wages that are subject to the Social Security tax, which is currently just over $110,000. For this reason a candidate who comes out for protecting Social Security can expect to see a hit to their campaign contributions. They also can anticipate to be beaten up in both the opinion and news sections in major media outlets. While in principle these are supposed to be kept strictly separate, the owners and/or top management of most news outlets feel no qualms about removing this separation when it comes to Social Security and using news space to attack those who defend Social Security. There is also the flip side to this story. Politicians, especially Democrats, who speak up for cuts in Social Security can count on lavish praise from the media. Political figures of no obvious stature, like former Louisiana Senator John Breaux or former Indiana Senator Evan Bayh, were lionized in the media for their willingness to cut Social Security benefits. After leaving the Senate, both took lobbying positions where they were almost certainly earning well over $1 million a year. This is the fundamental economics of Social Security that explains why it has not figured more prominently in the presidential race. If President Obama were to rise in defense of the program he could count on losing the financial backing of many supporters. He would also get beaten up by the Washington Post and other major news outlets for challenging their agenda. Such are the hard economic facts with which President Obama and other politicians must contend.